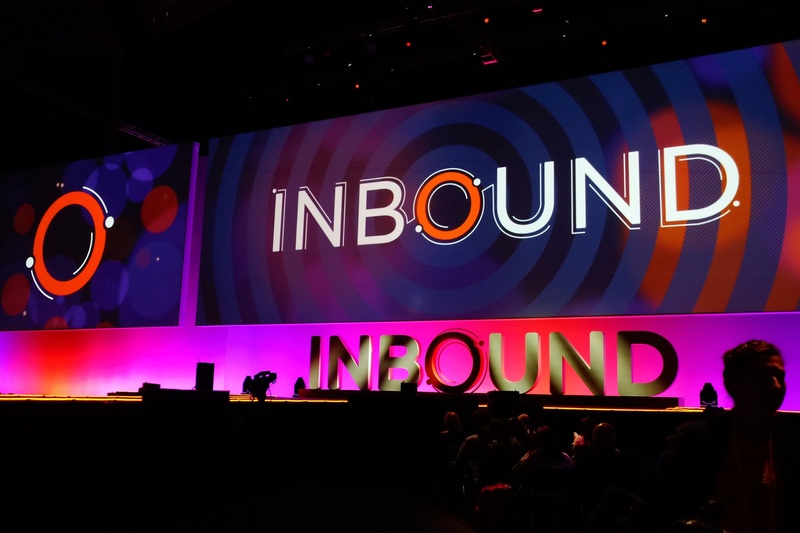 HubSpot’s INBOUND 2018 conference just came to a close, and we couldn't be more excited about all the new marketing strategies we learned from the breakout sessions. While there were way too many awesome sessions at INBOUND 2018 to list, here is a recap of some of our favorite sessions for data-driven marketers. Now that you've established your product/market fit, secured funding or a steady revenue stream, defined your roles and (future) hierarchy, built your tech stack and put automated or replicable systems in place, you're ready to transition from a startup to a scaleup. But how do you ensure the continued acceleration of your growth? In this session, you'll learn the data-driven strategies for unifying, enriching and cleaning customer data across your entire tech stack to automate and scale the entire customer journey. And the best part? These lead generation and scaleup operation strategies are straight from the playbooks of Drift, Segment, Mention and more! Making a marketing decision used to be more of a gut reaction than a clear choice. But in today's tech savvy environment, each conversion point in your marketing funnel (their buyer's journey) is quantifiable, so the right decision is more obvious. Now you just need analyze this data to make the best decision for improving your funnel's performance. In this session, learn how each stage of the buyer's journey has its own, distinct set of metrics and how you can improve them to generate more revenue. More and more tools are enabling new insight into the customer journey and buying experience, which helps marketers better engage and connect and leads to more success. All marketers now have one thing in common: a responsibility to act as the voice of the customer. Therefore, in order to be effective, campaigns must be built on a foundation of strong analytics with the right human touch. As organizations embrace the digital tools needed to compete, marketers must capitalize on data-driven insights to demonstrate that they not only understand customer desires, but also can anticipate their needs. In this session, learn how marketers can leverage this consumer-generated data to delight customers and explore why fostering this customer-centric mindset is crucial to business success. We know everyone and their mother already told you this, but video marketing is here and it's powerful. But, after putting so many resources into creating beautiful and persuasive videos, you need to be able to track their effectiveness. By incorporating this new marketing channel into your existing tech stack, you can use the data it produces to help guide your marketing decisions. This session will cover everything HubSpot users need to know about effectively using video and calculating its impact within their account — from using it in lead score criteria to measuring video engagement data within a contact record. Data drives your buyer personas, smart content, lead scoring and so much more. Yet, we struggle to understand why our time spent learning about these words hasn't generated any revenue! So what does it take to build an advanced marketing automation strategy that generates leads and nurtures them into loyal customer? In this session, learn about the two most neglected elements of marketing automation: audience research and user data. Learn actionable strategies for implementing your own user data into your marketing automation program and why investing in this is the greatest step you can take to maximizing these efforts. Dive into all of the data you have access to within HubSpot and how you can use it to measure your progress and better grow your business. Some key tools for this in the HubSpot platform are: reports dashboard, custom report builder, analytics tool and more. This session will cover all of the tools and data available in HubSpot, tips for making sure you've got "good" data and strategies for setting goals and selecting KPIs for your unique business. However, with more data comes a different problem. Our surplus of measurable data presents a critical dilemma: it seems we all have more data than we know what do with in some cases. When you know what to do with your data, the answer becomes clear. But when you don't know what metrics to consider or how to leverage it in the right way, you may fall victim to the dreaded "analysis paralysis". Attendees will leave this session armed with the skills they need to leverage data-driven decision making to drive growth. The ability to perform analysis and make informed decisions based on real results is essential to achieving success for both you and your clients. If you make your decisions with data in mind, revenue growth will follow. If you went to INBOUND 2018, hopefully you were able to catch some of these awesome, data-driven sessions and loved them just as much as we did! If you didn't attend INBOUND 2018, hopefully we caught you up to speed on what you missed! If you want to learn more about how leveraging data can help grow your company, download our Guide to Demand Generation!